Jeremy Levine arrived at Working Films for a summer internship as a Park Scholar from Ithaca College in 2005. 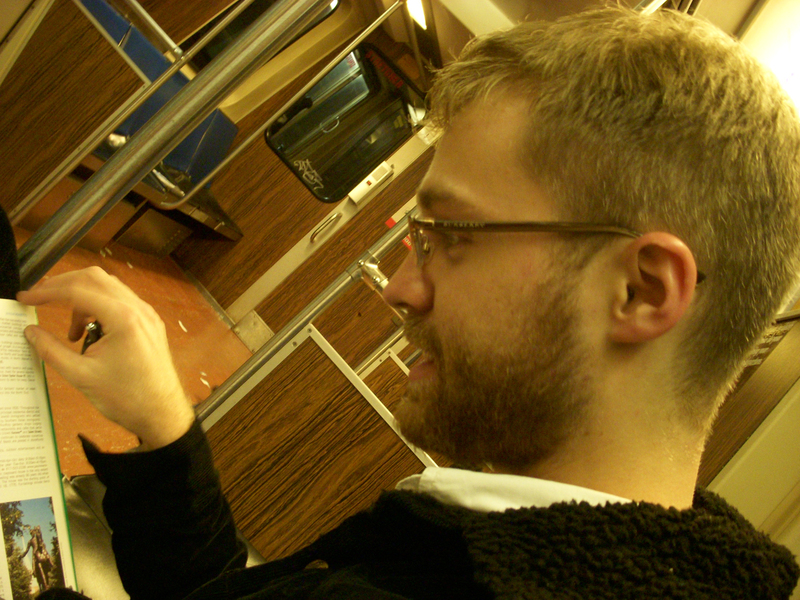 During that time he redeveloped our website, both increasing it’s usability and functionality. He has since graduated from Ithaca College and relocated to Brooklyn, NY where he has launched his filmmaking career with familiar partners, a new film and exciting projects. I recently had the honor of talking with him about his past experiences at Working Films and his current projects. Kristin Henry: You came to Working Films through the Park Scholar program offered at Ithaca College, which gave you an opportunity to choose where you would like to intern. What attracted you to Working Films? Jeremy Levine: When I decided to study film, I wanted to be able to tell stories that were compelling and at the same time be able to make a positive impact on the world – but I was lost as to what that really meant. When I read that the mission of Working Films was to use documentaries to provide meaningful change, I knew how I wanted to spend my summer. KH: Do you think your experience at Working Films has contributed to skills for your recent work? If so, how? JL: Yes, in a number of ways. I gained a better sense of the way the industry works, how fundraising works, and what to do once the film is completed. On a more specific note I spent much of my time on the website, which gave me the confidence that I could take on independent projects and further develop my skills as I go. KH: We are currently accepting applications for a George Stoney Fellowship, which is similarly structured to the internship that you had with us, where the person will come on and act as a staff person and they will decide what projects they would like to work on based on our current needs. What advice would you give to our incoming Fellow? JL: I would tell them that before you get to Working Films, take the time to really think about what you want to get out of the experience. Consider what your skills are and how you would like to develop them. I was amazed on my first day when I was asked what I wanted to work on instead of getting assigned tasks. It was empowering. So, think of what you want to take away from the experience. KH: We have continued to utilize your talents – from shooting the Everything’s Cool activism at Sundance , to executive producing the Two Towns of Jasper DVD. Does any one of these projects in particular excite you? JL: Sure, all of the work and learning that’s come out of the production of the Everything’s Cool Activist DVD is materializing and being expanded for the Two Towns of Jasper DVD… It’s a progression where we are making a DVD that is oriented for a group audience. We are really trying to create an innovative, interactive experience that caters to the needs of a community organizer or educator. This is very different from a typical DVD in that we are creating the content around the issues in the film. Our goal is to get audiences talking and working to make progressive change in their community. In the case of Two Towns of Jasper we want to facilitate community and classroom discussions about racism and consider ways in which to address those issues. KH: After you graduated from Ithaca College you relocated to Brooklyn, New York. What drew you there? JL: Well we, myself my partners Landon Van Soest and Gerardo Samano, knew that the film scene is there. And when we got here, even though we were surrounded by filmmakers, we didn’t feel like we had a real connection with them—it seemed to really lack a tangible community. So we formed the Brooklyn Filmmakers Collective to bring together a small group of great filmmakers each week, screen our work, and support each other through the very exhausting process of making a film. KH : You are producing another film with Landon Van Soest, called Good Fortune. 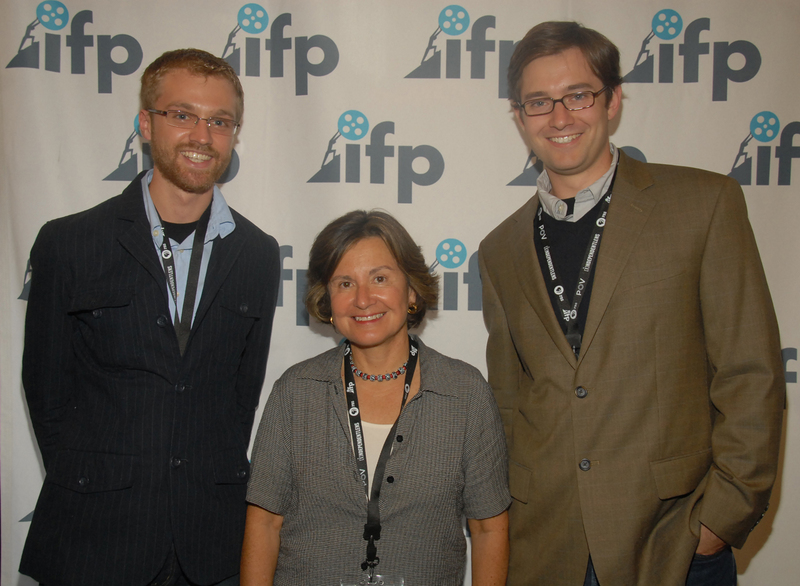 First, congratulations on being a recipient of the Sundance Documentary Fund and the recent Fledgling Fund Award for Socially Conscious Documentaries at the 2007 IFP Market (photo below). Can you give me a little background on this film and where you are in the process of filmmaking and outreach? JL: We’re amazed at the momentum behind the film. Good Fortune is a film documented in Kenya about ordinary people standing up to international aid programs. We’re nearing the end of production and are planning on finishing the film this Fall in time to apply to the Sundance Film Festival. We’ve already started building partnerships with different organizations, educators, and intellectuals who will be able to use the film in their work and make a positive impact with international development. What we are trying to say with this film is that the aid and good will towards Africa is great, but we still have a long way to go with our approach. We need to work with the communities we are trying to help if we have any hope of succeeding. You can’t impose help—we need to work with the people in the community and work from the ground up.